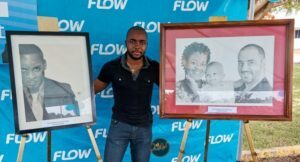 Press Release:– As one of Saint Lucia and the Caribbean’s leading employers, Flow is a major repository of talent and business acumen. Many colleagues have skills and abilities that extend beyond their day-to-day jobs, whether they work as a retail sales advisor, a dispatcher, or a customer experience agent. 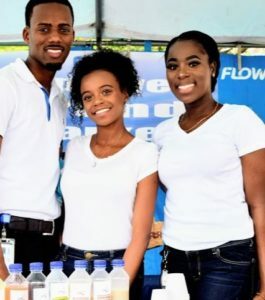 Recently, Flow Saint Lucia’s Human Resource team gave staff the opportunity to see one another’s work and to patronise each other’s small enterprises, through the Employee Grand Market. Hosted at Flow Corinth, this initiative included a total of nine different burgeoning businesses. There was plenty of food available for sampling and for sale, including Terry Hunte’s T’s Tasty Treats, Yasma St. Ange’s Bread Box cakes and banana bread, Uyssilma Alfred with her cupcakes and muffins, and Shane Evans’ range of Tastey Buds juices and seamoss products. 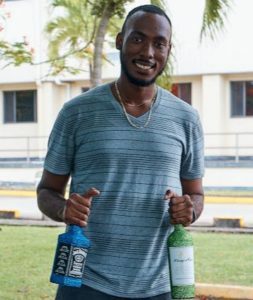 Another colleague who sells treats is Jelani Jolie of Temptations Gourment, but on this occasion he opted to display his “flashed” products, mainly decorated liquor and wine bottles. 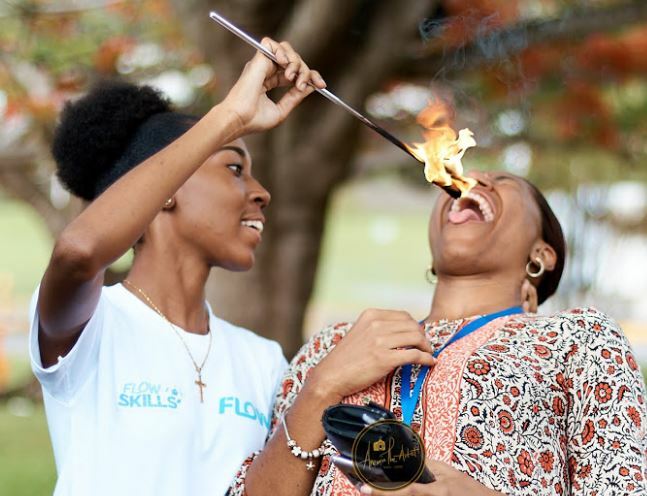 Colleagues were also taught fire eating and limbo dancing by George-Ann Celestin of Stars Incorporated, and exposed to the fundamentals of track and field training through Terry Finisterre and four-time national Club Relays champions, Morne Stars Athletics Club. Aneurin Edward and Marvin Charles got the chance to show off their photography skills. Marvin did free portraits for members of staff, whilst Aneurin documented the afternoon’s proceedings and showed off his line drawings, which he creates on commission. Dozens of members of staff visited the Employee Grand Market, and took advantage of the expertise of their talented workmates. It is hoped that this will be an annual exercise, and one that will help promote colleague engagement and create a richer working environment. © Copyright 2019 - St. Lucia Times. A Big Feat Media Production.